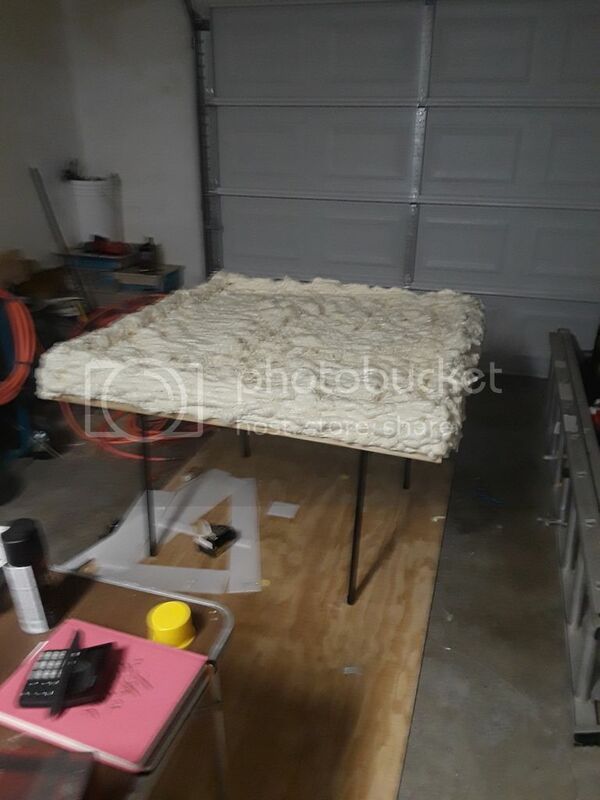 Then, I covered the frame with corrugated plastic and started covering it with great stuff insulation foam. After the foam hardened, I carved it up with a serrated knife. It was quite the mess but a shop vac made quick work of the crumbs. 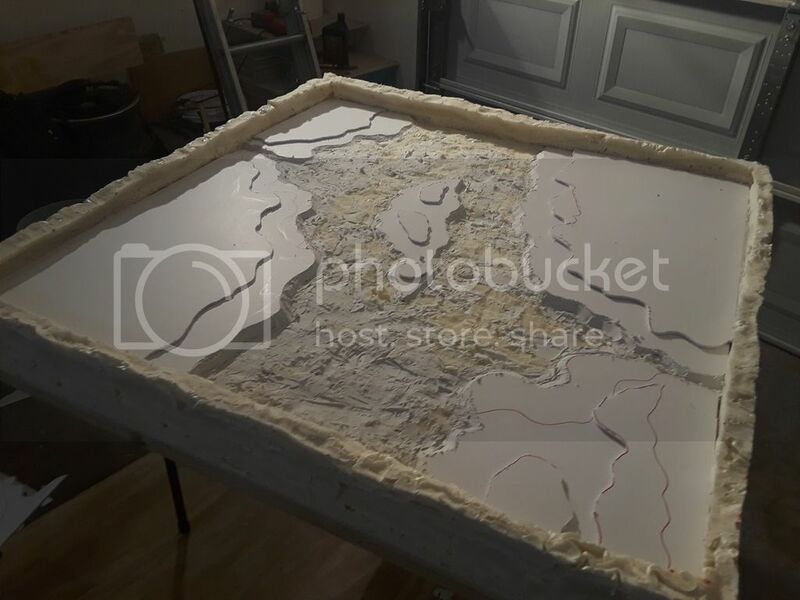 At this point I have glued land masses made of simple foam board down to the surface and started using lightweight spackle to fill the gaps. 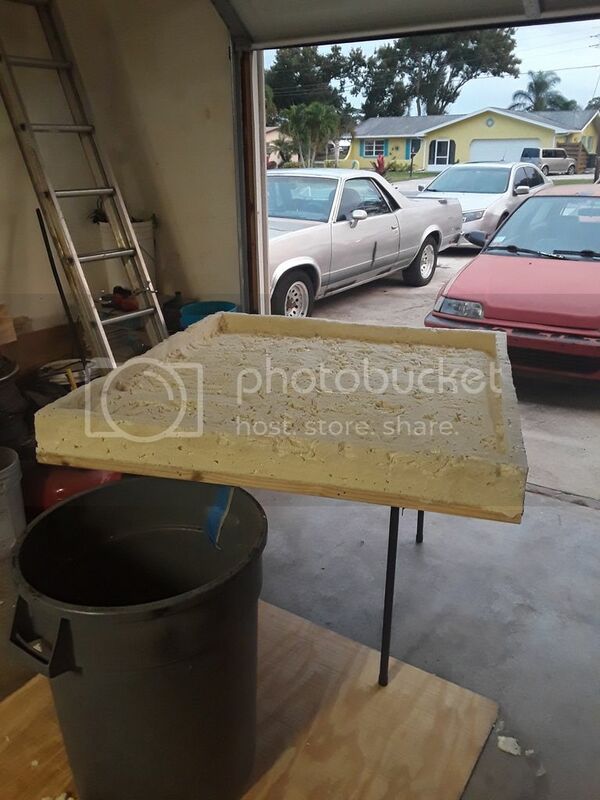 I would like to eventually fill the basin with resin after painting. I am aiming for a swamp. Right now the table topper only weighs 8 pounds and seems pretty sturdy. 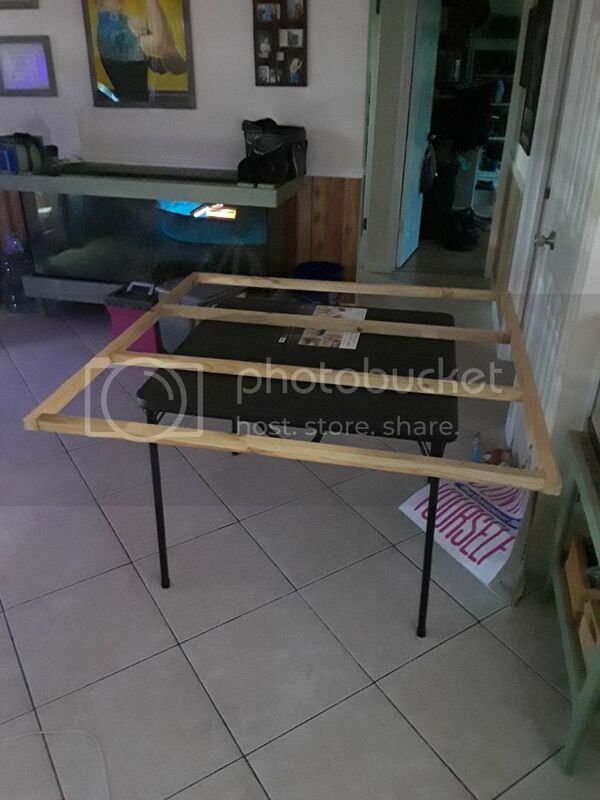 I added rubber bumpers to the bottom of the frame to keep it on the table. As of now I have spent about $150 US dollars on the build including all the paint I will need. I have plenty of spare materials as well. I could have planned a little better to cut cost, but I wasn't sure which direction I was going with it yet. Any recommendations on what I should do with the wall would be appreciated. I would like to share mistakes I made. 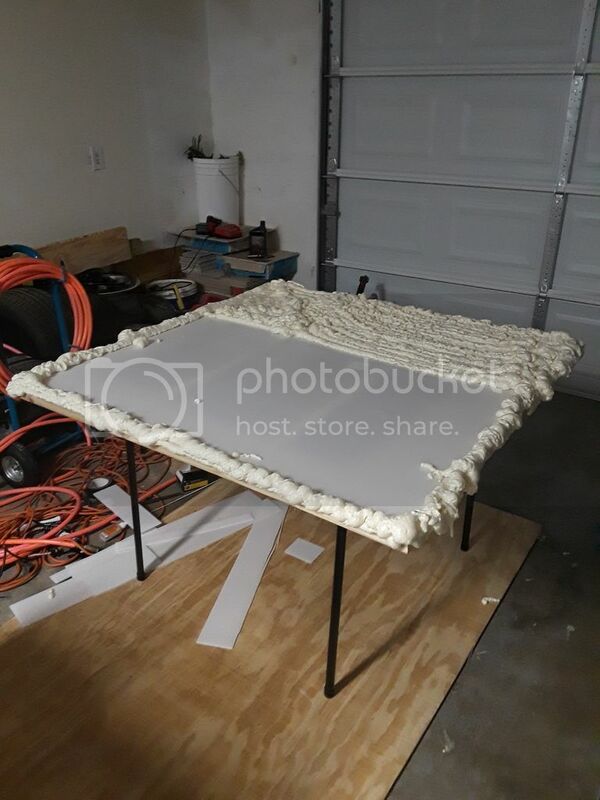 Do NOT seal the foam with white glue. It came recommended by many people in the hobby. I used it on my walls and it warped them causing them to curl inward. Repairs were needed and the walls still lack original sharpness. Don't bother buying a cheap hot knife either. Unless you shell out $200+ for a hot wire bow or professional hot knife it's not worth the extra effort. I will post more updates as I complete more steps.